Any bwax virgins here? You would probably be interested in what I am going to share. I have been doing regular brazilian waxing for more than 3 years now and from all the packages I have signed and all the places I have patronized, I can assure you STRIP’s new formula which promise the best waxing experience indeed delivers what they promise. A little background on STRIP if you do not know this famous waxing parlor by now, they have been around since 2002. STRIP has been keeping things smooth in 9 cities worldwide where they have pruned and waxed a staggering two and a half million urm, bushes and counting haha. They strictly abide by a HSQ mantra: Hygiene, Speed and Quality, and STRIP is also the first to introduce the ‘No Double Dipping’ commandment (more on that later). They are also famous for their secret recipe lotions and wax formulations, both which I have tried and have great reviews about. 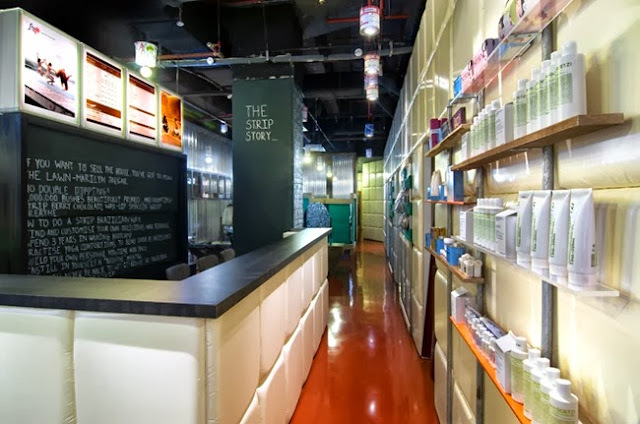 Unlike most places where they reuse their waxing sticks which is pretty unhygienic, STRIP’s waxpert/therapist will grab a personal hygiene pack from the wall as they lead you to your treatment room. I was given 7 drops of bach flower essence under my tongue to calm and relax my spirits before the treatment. Thought it was pretty unique and thoughtful of them! A homely and cosy sight greeted me at the treatment room. STRIP has perfected the formula for the best waxing experience! Introducing the STRIP-A-LICIOUS Sundae: Strawberry, Chocolate, Vanilla in one smooth serve! STRIP’s Strawberry Wax is developed specially for first time Brazilian virgins and it packs the healing powers of Chamomile and Aloe Vera to calm and soothe even the most tender skin. It is especially creamy and it removes hair with minimal discomfort and leaves skin enveloped in a comforting strawberry scent. Do trust me when I say “minimal discomfort” because being a ex-dancer, I have been shaving since puberty started so you can imagine how much pain I will experience during brazilian waxing every single time. However, this strawberry wax greatly reduce the pain and discomfort I experienced at every other waxing boutique! You can see the Chocolate Berry Wax at the left side of the photo below. I love it as it is super efficient in removing even the shortest and most stubborn hair with gentle ease leaving my skin completely smooth and fuzz-free. Most importantly, as a chocolate lover, the scent is heavenly haha. What I see when I lie down on the bed. I thought it was pretty amusing but strangely calming to be able to read during waxing. If you would like to, you can give my “waxpert” Cass, a try! She is extremely professional, friendly and quick in her waxing technique. Having visited so many waxing salons before, the importance of minimizing the pain/discomfort is also highly attributable to the waxpert/therapist. If she is highly experienced and quick in her technique at the same time providing enough rest and cooling-off period between each wax, the experience will be so much more comfortable and of course, lesser pain. For a limited period only till 6 October 2013, indulge in a serving of Strip's Ultimate Brazilian Wax Combo at $25 (U.P. $62) by purchasing a voucher here! Apply promo code "TriciaO" during check out and get additional 10% off! That's not all! You can also take a picture with the ice cream standee above, instagram it and tag @StripSG or hashtag #stripalicious and show it to the STRIP counters to get a $10 discount voucher! STRIP is located at 14 locations islandwide. I had mine done by Cass at Great World City so here’s the address!